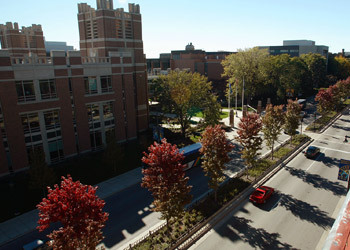 Mail Services, part of Marquette University’s Facilities Planning & Management, will provide courteous, cost effective and high quality mail service for the university community and our customers. Mail Services is the collection and distribution center for inter-office campus mail and the university’s incoming and outgoing United States Postal Service (USPS) mail. Services are provided in accordance with USPS regulations and with the highest regard for privacy and confidentiality of mail. Campus Mail must be placed in manila-colored campus mail envelopes with a complete office name clearly written. Mail Services to the campus community. Purchase from USPS or Union Station. Monday-Friday: 7:00 a.m. to 3:00 p.m. If you have special services not listed on the mail request form or from our list of services offered, please contact us at (414) 288-3066.